Is It Time to Rework Your Content Marketing Campaign? A well-executed content marketing campaign can help improve your brand’s awareness online and drive new customers to your business. While the rewards of content marketing are many, some companies struggle to execute a strategy that results in greater user engagement and an increase in total conversions. 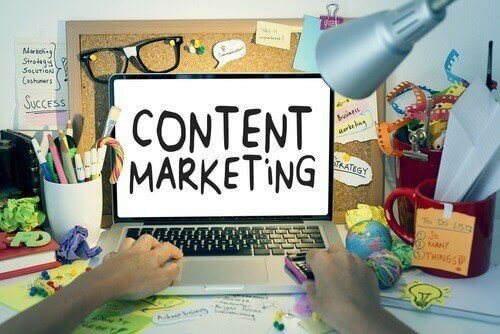 If you find yourself struggling to get the results you anticipated, it is not time to worry; content marketing is an ongoing process that usually requires different iterations before success is finally achieved. Your website engagement is not increasing. It is difficult for your content marketing strategy to be labeled a success if it does not improve your website’s engagement. Take a look at your Google Analytics numbers, and pay attention to the average time users spend on each page, how many pages are viewed per user and what the bounce rate is. If your traffic improves but engagement does not, the content needs reexamining. There is no documented strategy. Without a clear content strategy in place, your online marketing efforts will feel unfocused and careless. You will not know how you have reached a level of success if it is not clearly defined what success even means for your business. Sitting down with your content team to plan out your blogs, social media posts and other online content is a crucial part of this process. You are not promoting the content. Of course, for your content marketing strategy to work, people must view the content! When a new blog post is published to your website, link to it on your social media accounts; reach out to industry blogs to pitch yourself as a guest writer; distribute the content to your mailing list. Like content marketing, promotion is an ongoing task that does not have a fixed endpoint. If what you are doing at the moment is not working, keep innovating whenever possible. The long-term commitment of publishing high-value content on a regular basis will eventually result in the numbers you want to see. Content marketing rarely works on the first try, so do not be afraid to take some risks and change around what you have been doing in the past. Switching things up will keep your content fresh and make your website a destination for users.